As I mentioned recently, I’ve been thinking about the iPhone 7 and 7 Plus now WITHOUT a headphone jack, and I wondered, can I get BETTER sonic results than using the Lightning-to-headphone-jack adaptor Apple is including with the iPhone 7? 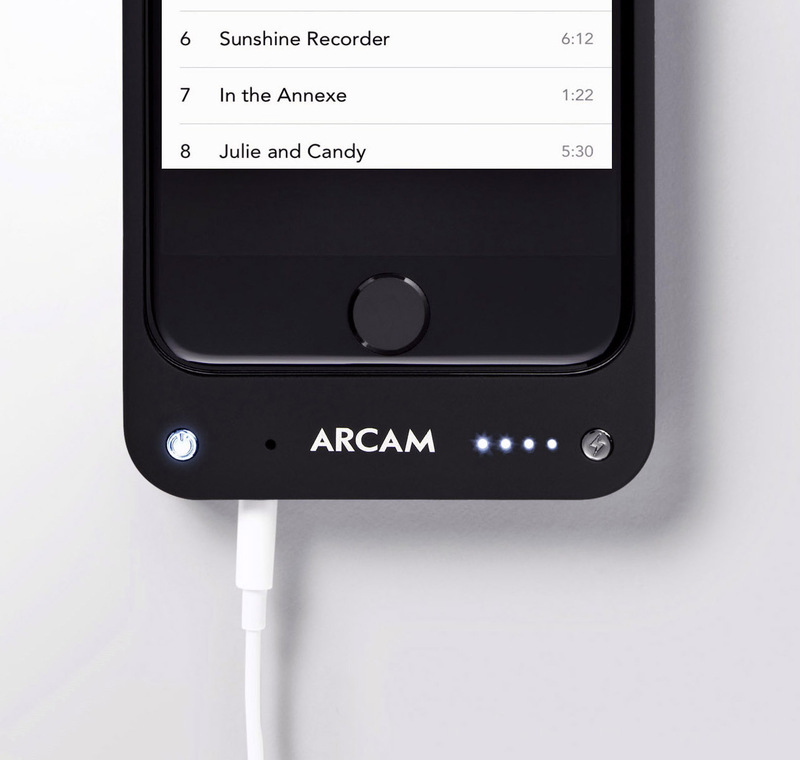 ARCAM could have the answer in an iPhone 7 MusicBOOST version if they make one, and any other of my enterprising friends in the consumer electronics business should take this as a cue for a good product concept. The $189 MusicBOOST is a combination case, battery, and headphone amplifier that connects only to the iPhone’s Lightning connector. The MusicBOOST fits on the iPhone like other battery-case combinations, firmly, and it probably doesn’t protect the phone quite as well as others, since the upper corners of the iPhone are exposed. The MusicBOOST has its own standard-sized 3.5mm headphone jack in the bottom left, roughly where recent iPhones have their own jack. 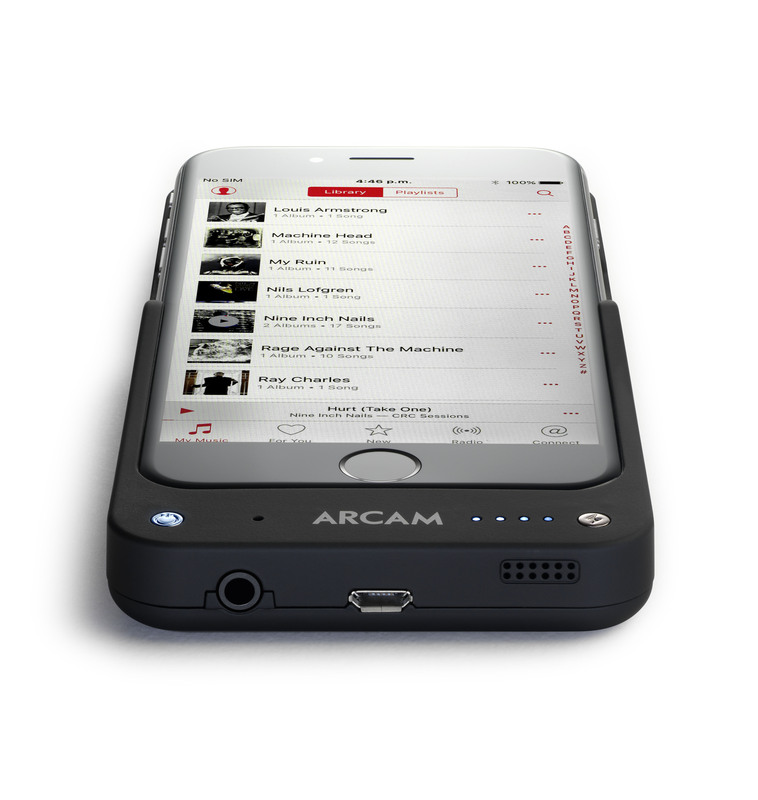 ARCAM MusicBOOST with iPhone partially inserted, showing Lightning connector that mates the devices. How does the MusicBOOST sound? I listened to a variety of music on beyerdynamic T 51 i headphones, from Peter Gabriel FLAC files to Emerson, Lake & Palmer remasters, to streamed classical music from WHRB.org. The sound is smooth, mellow, and if anything less bright than the regular iPhone headphone jack, or Apple’s headphone to lightning adapter. It also can play a good deal louder, something which can be important for some fancy (and power-hungry) headphones. I felt the MusicBOOST was a valuable although not mind-blowing improvement. Do the mic and controls work? On the other hand, charging is easy – just use a micro-USB charger (the USB cable is included which of course works with the regular Apple USB charger). You can also use the micro-USB cable to sync the iPhone while it’s installed in the MusicBOOST. Its a bit heavy, and of course it makes the iPhone larger. This is the same as other battery cases. The sound from the phone’s own speakers (needed for speakerphone operation) is noticeably compromised. The volume level is reduced, as is intelligibility. 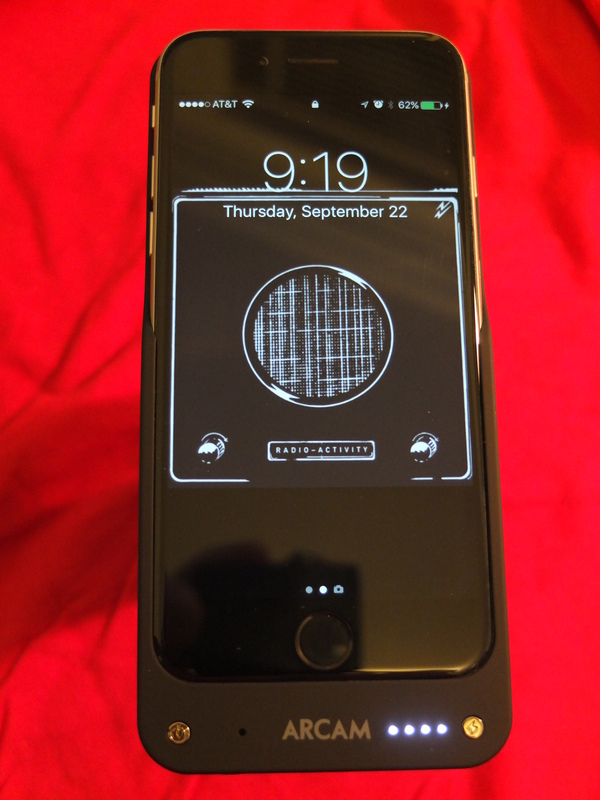 There hasn’t been any version for the larger Plus size iPhones. But most importantly there is no iPhone 7 version. ARCAM, are you listening? 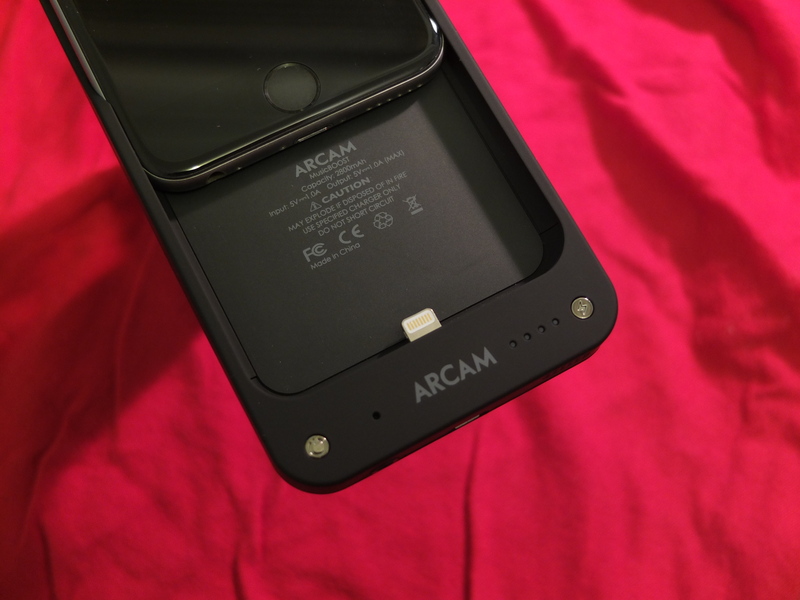 This entry was posted in Product Design, Reviews and tagged ARCAM, ARCAM Music Boost, iPhone 7 by Stephen. Bookmark the permalink.